Personalisation and tailoring products and services to the customer is a key aspect of customer experience. 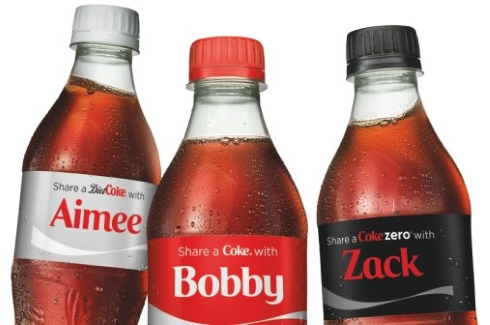 Coca Cola has a great example of this – a few years ago they launched the ‘Share a Coke’ campaign, swopping the Coke logo with the UK’s most popular names. . This helped create a social media hit for the brand with some impressive results for the company. This campaign not only created personalisation for customers but also differentiated the product from its competitors. Offering personalisation for clients is not an alien concept for accountants. Most practitioners have used it to help demonstrate value, exceed client expectations and ultimately increases client loyalty. Through the use of online bookkeeping solutions, clients are keeping better and more accessible records. To do this we’ve focussed on a specific ambition – how can we reduce the amount of data that needs to be entered manually to achieve a specific goal? One of the ways of achieving that is to connect to the source data and make the data-flow as seamless as possible. Building on this integration, we introduced the ability for Accountants who use IRIS Insight to efficiently manage multiple KashFlow accounts using KashFlow Connect. The result is a more efficient process for Accountants when clients are using either KashFlow or Xero as their bookkeeping solution. To see the integration with Xero in action watch the short video here. IRIS Insight users already benefit from capabilities such as cash flow forecasting, performance reporting, what-if analysis and business planning. Now with the seamless data-flow from the integration with Xero and KashFlow Connect, Accountants can start to benefit from a better and more connected workflow. Last week Volvo announced it plans to focus on hybrid and electric cars, a move soon to be copied by other automobile manufacturers, spelling the end of the internal combustion engine. But there is still a way to go: some Volvo models offer barely 30 miles of electric-powered driving under real conditions. That said, the announcement is positive and marks the beginning of a journey towards an exclusively electric future. There is a similar change underway in the accountancy industry. Making Tax Digital (MTD) is the latest initiative to modernise the way individuals, businesses and their accountants interact with government. Over the last 10 years we have seen iXBRL, RTI, auto-enrolment the list goes on. Each initiative presented a challenge to individual practitioners, led to lots of discussion between accountants and their clients, worry about the future and eventually the industry embraced the change. We are seeing this process repeating itself with MTD. Accountants can be heard saying“My customers still hand me a shoebox of receipts each year”, “my workload will increase but I cannot charge my clients more”, etc. The list of concerns goes on. There are many legitimate concerns but solutions are available to alleviate these worries. Apps such as online bookkeeping, receipt capture apps, secure document exchange all have a role to play in simplifying the workflows between clients, their accountants and HMRC. Another area to be developed is the provision of services designed to help clients manage their businesses more effectively and develop strategies to help them grow. Traditional compliance work such as producing final accounts or tax returns effectively summarises past performance. What businesses really need is up to date information that will allow them to make better decisions. Offerings such as cashflow forecasts, ‘what-if’ modelling and performance tracking are a great place to start. This information allows businesses to spot issues and take action before those issues become business impacting problems. IRIS Insight can deliver this functionality and more in a matter of minutes. It’s the ideal platform for providing advisory services such as cashflow planning, business planning and virtual Finance Director services. IRIS Insight gives you the opportunity to work closely with clients on the future direction of their business. The oil industry will not disappear overnight, and we will see a long transition, but the direction of travel is clear. Electric vehicles with barely 20 moving parts as opposed to around 2,000 for their internal combustion counterparts will force a change to their support industries. Similarly the needs of clients will change as will the role of accountants in supporting their clients. Compliance activities will be less valued by clients but there are a range of services that accountants can offer that their clients would be happy to pay for. Just as Volvo have a long road ahead of them in delivering an effective electric-powered future, many practitioners have a way to go in building value-added services their clients require. Embracing this change today will ensure practitioners are well positioned for continued success.